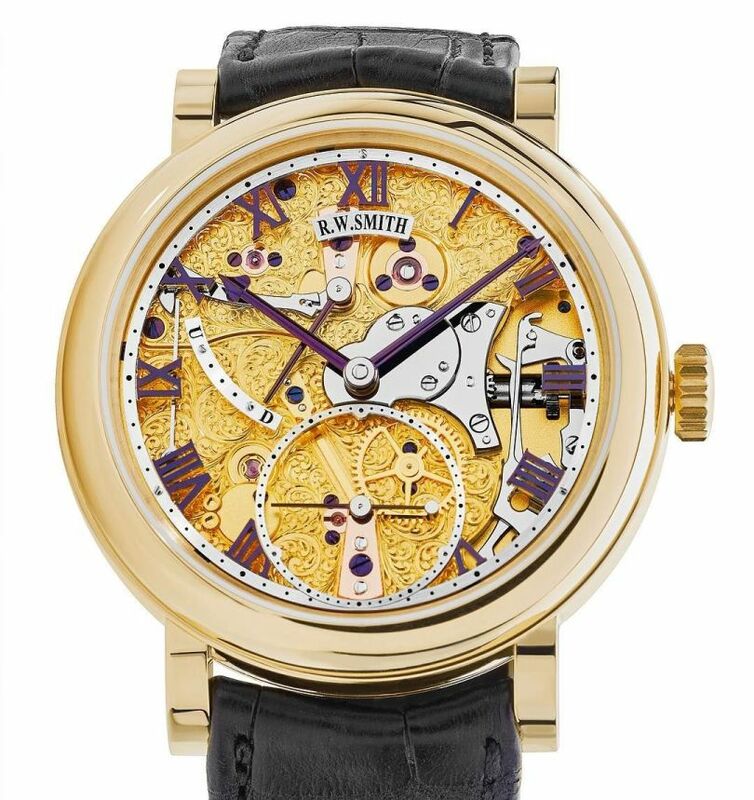 Since the launch of his new Mk2 movement, Smith decided to bring the Open Dial into his series range of watches, now called, Series 5. 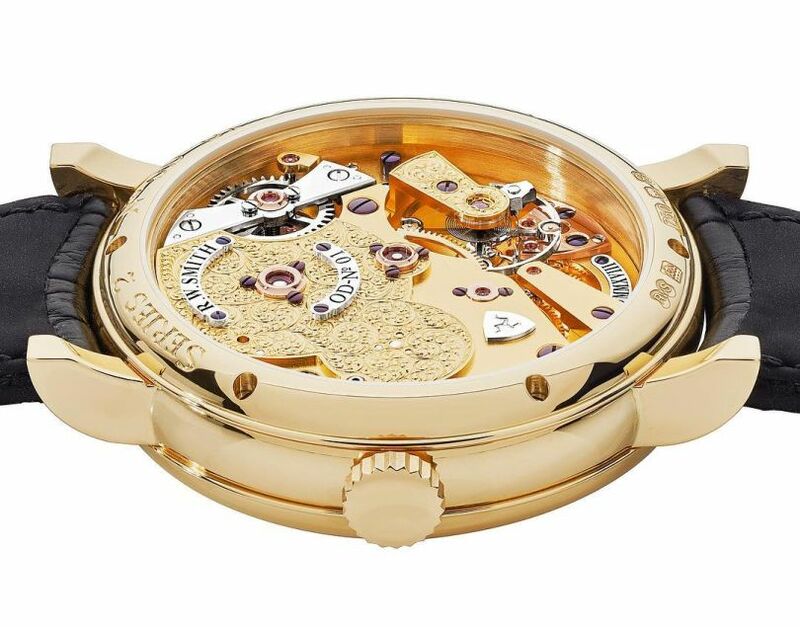 This example is a Series 5 cased in 18kt yellow gold, with floral engraving to the dial side of the mechanism. The dial features blued steel hands and floating Roman numerals. Roger W. Smith states "The development of the Mk2 movement has opened my eyes in regards to how an extraordinary escapement such as the co-axial can effect the movement in the long term. Now with service intervals being extended to over ten years, a new era in mechanical timekeeping is opening up".